OriginTrail announced a pilot project with two scientific laboratories. Source Certain International from Australia and Hoan Vu from Vietnam are both focused on verifying the integrity of food supply chains by analyzing samples from batches of food using modern analytical and scientific technologies. OriginTrail’s blockchain-based solution will act as the infrastructure for integrating and distributing data and reports to the laboratories’ clients, extending traceability and providing an additional layer of transparency and trust. Scientific laboratories play an important role in ensuring the integrity of food and non-food products in global supply chains. Source Certain International and Hoan Vu use advanced technologies to carry out more than 800 forensic and chemical tests on food, animal feed and non-food consumer products. Their capabilities and expertise include testing water, soil and air for farms and factories, validating nutrient content and potential allergens in products, and testing for the presence of heavy metals and pathogens. The laboratories scientifically verify the authenticity and provenance of food products in Australia and Vietnam for their domestic and export markets, including fraud-sensitive products like honey. “This marks another milestone for OriginTrail which is already tracing several food supply chains based on the blockchain. For forensic data, ensuring ultimate traceability and data integrity is of a crucial importance. The OriginTrail protocol is taking care of the data footprint whereas the laboratories are specialized in forensic level tests that are relevant to the actual food. A great way to showcase how complementary technologies can work together to verify authenticity, origin and the safety of products”, said Tomaz Levak, OriginTrail CEO. “This is an exciting initiative which sets out to close a gap by extending industry standards into scientific laboratories. The pilot will map the processes from sample extraction at the farm or factory to the laboratory and apply GS1 standards to uniquely identify the samples, lab equipment, documentation and final test results. This enhances transparency to the party who is scientifically verifying the product origin, authenticity or organic claim for example. When this data is added to a product record on a blockchain, it will help to enhance trust in the food system”, according to John G. Keogh, President of Shantalla Inc. and an advisor on the initiative. This pilot project is the first time the OriginTrail decentralized protocol will be used for food certification and validation purposes. It is the world’s first case of connecting and integrating key scientific information, and, where relevant, laboratory information management systems (LIMS), with the blockchain. 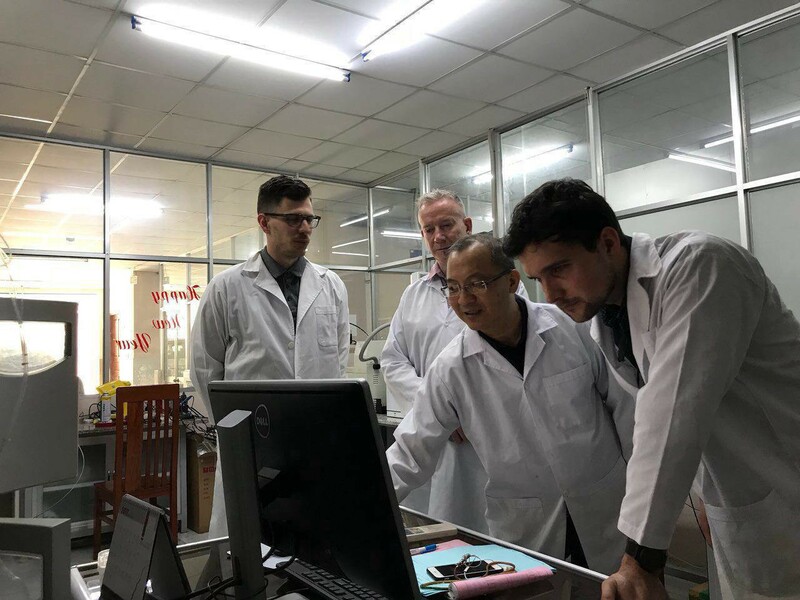 Source Certain International and Hoan Vu laboratories will be the first scientific laboratories in the world that will connect directly with a GS1-centric blockchain solution. OriginTrail will provide the infrastructure for trusted delivery of confidential data to the laboratories’ clients, which include Unilever, Vietnam’s largest retailer CoOp and many others. “Food companies today are responding to consumer demands for safe, healthy and nutritious foods. They turn to independent 3rd party scientific laboratories to validate product authenticity, origin and claims such as organic, non-GMO, wild-caught, grain-fed etc. This initiative with Source Certain International and OriginTrail will enhance traceability and transparency of the scientific data while maintaining confidentiality. We are confident this initiative will improve overall food chain integrity”, according to Henry Bui, CEO of Hoan Vu. “There is no doubt that to make real progress in building consumer trust, transparency inside our food chain is critical. The blockchain ecosystem is thriving, and its applicability to agri-food is becoming evident. OriginTrail is leading this area with demonstrated use case examples, sound technical leadership and deep subject matter expertise. Data based transparency is essential but the ability to verify the data and reconnect it with the actual consumer product is very important. Provenance is key and consumers also want to know that they can trust the information being presented to them — this where Source Certain can help and, in collaboration with Hoan Vu, we are looking forward to working with OriginTrail to deliver real, verified supply chain integrity”, said Cameron Scadding, Executive Chairman of Source Certain International. Source Certain International and Hoan Vu have joined Trace Alliance, a collaboration partnership hub set up by OriginTrail that is connecting businesses, startups, academics, business leaders, and technology vendors, with supply chain subject matter experts. 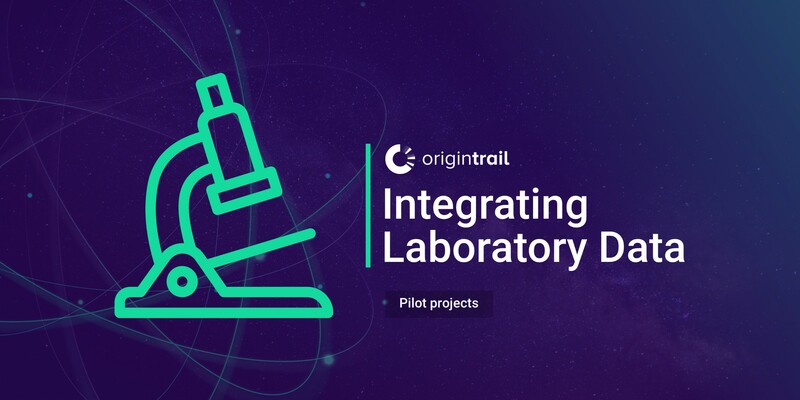 This will provide the laboratories with direct access to several solution providers who will build specific business applications on top of OriginTrail’s infrastructure. The initial results of the pilot project will be presented and discussed at the Trace Alliance congress scheduled for early June.